Bustling businesses see a constant stream of foot traffic that can stain, soil and stink up your carpeting. That’s why businesses trust KIWI Services for all of their Phoenix commercial carpet cleaning needs. 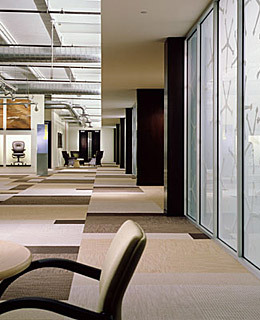 We’ll dispatch a team of skilled carpet cleaners to thoroughly revamp your commercial carpeting on your time. We know that you don’t want cleaning and maintenance performed during regular business hours, so we’ll gladly work with your schedule to ensure a comprehensive cleaning after your business has closed for the day. We have developed innovative, trusted carpet cleaning techniques that are tough enough to remove stubborn stains, including pet stains and odors, compression and irregular wear, dull and lifeless carpet and food- or production-related odors. Our Phoenix commercial carpet cleaners are the same trusted deep-cleaners that we use in our customers’ homes. These are deep-penetrating yet gentle and eco-friendly carpet cleaning formulas that are powerful and effective enough to revamp and revitalize even the most stubborn stains and smells. KIWI Services’ carpet cleaning leaves behind a fresh, citrus scent that’s pleasant and inviting. Savvy small business-owners choose KIWI Services for a variety of reasons, but love the fact that our commercial carpet cleaning in Phoenix is fully tax deductible. When you hire a company to perform regular cleaning and maintenance, the IRS recognizes the full cost as a legitimate business expense. We’re also licensed, bonded and insured, so you can protect your business from premiums such as worker’s compensation claims and other issues related to employee injury. You book your Phoenix business carpet cleaning around your own schedule so that you don’t lose valuable business during cleaning. Call KIWI Services today to learn more.